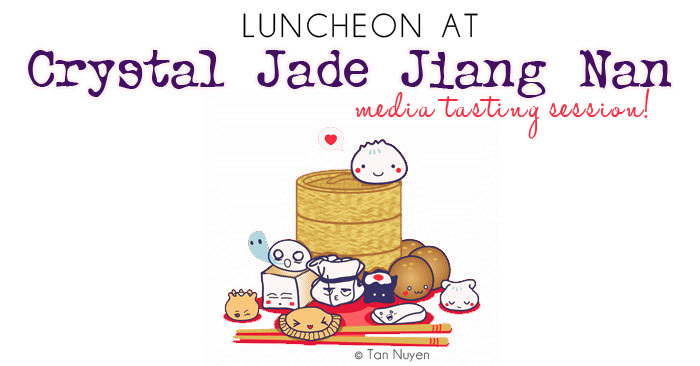 Lunch at Crystal Jade Jiang Nan (Vivocity) + GSS X Salon Vim Promotions! good food is meant to be shared, and i was delighted to be invited to a special media tasting luncheon to sample dishes at the newly opened Crystal Jade Jiang Nan, Vivocity! Crystal Jade is no unfamiliar name to those of us who love our Chinese food, it’s one of my staple restaurants for 拉面, 小笼包 and other chinese favorites!! 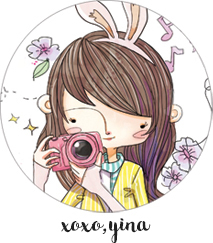 i’m secretly a cheena-piang foodie at heart and i LOVE me my dim sum, and zhi char! they always feel like comfort food to me, since my parents aren’t big on Western food and i grew up eating Chinese all the time! unlike the other branches/restaurants of Crystal Jade that you’ve seen, this branch at Vivocity known as Crystal Jade Jiang Nan (翡翠江南) stands out for its’ contemporary settings and decor, which is very different from the more traditional Crystal Jade restaurants that we are accustomed to! here’s a look at the interior. i like the modern setting with interesting bits of Chinese-influenced decor that allows the restaurant to retain its oriental roots! from here on, it’s gonna be all food pictures, so be warned! not the best reading material for a growling stomach in the middle of the night! do note that some of the serving portions you see below may not be accurate to actual restaurant portions as we were served smaller portions for certain dishes only to taste! we started off with our drink order, and this is the 鸳鸯 (iced coffee/tea blend) that i ordered! so cool, it came in a glass beaker with dry ice! D: i liked the taste too, not too sweet nor milky! appetizers came next, these are really special appetizers prepared in ways that i haven’t seen in a Chinese restaurant before! Marinated Pig’s Ear with Cucumber! ($8.50/small) sounds eeky, but it is actually quite addictive with its chewy and Q texture, and is spiced with chilli oil and sesame oil that makes it very “开胃”! i wouldn’t know i were eating pig’s ear if no one told me! 😛 a must-try for the adventurous! really crispy white bait that’s coated with sugar and deep fried to a crunchy golden finish! i like this one too, couldn’t stop reaching for another piece with its crunchy sweet taste! you’d go nuts over this if you like nuts and sweets, like YZ did! he practically finished the entire portion by himself :X whole walnuts are baked with sugar and honey for a sweet treat! walnuts are good for you, so you needn’t feel guilty for having this. heh. i don’t know what’s with the uber long name, haha. in mandarin, it’s called 五彩拌豆腐! this Shanghainese dish has been reinvented with the addition of fresh egg yolk and carrot, and four different sauces are provided for you to spice it up with: Scallion oil, Chilli Oil, Extra Virgin Oil and Black Vinegar! i like this dish very much, especially with the addition of Scallion Oil and Black Vinegar, the texture of the finely chopped ingredients together with the fragrance of the spices is fabulous! plus, it’s really healthy too! 😀 kind of like Chinese-style salad! we even got to watch a demonstration of the chef displaying his skills for us! he was really amazing! insert just the right amount of filling and then skillfully kneaded into a dumpling shape! what XLBs look like before steaming.. they are actually round!!! i’ve always thought they had a flat base already, hehe. LOVE THEM!!!!! each tray comes with Original, Prawn, Spicy Beef, Spicy Chicken, Foie Gras, Cheese and Black Truffle! also, did you know that all the colors you see are derived from natural food coloring? my favorite is definitely the Truffle one because i have a weakness for truffle flavoring. teehee. the skin of the XLB isn’t so thin that it breaks instantly upon lifting up from the tray (always happens to me when i eat XLB!) but isn’t so thick that it becomes too tough and chewy too. om nom nom. the little ball in the middle is actually a custard bun by the way! perfectly concocted 酸辣汤 with a heaping of soft tofu which gives the soup a smooth and pleasant texture! unlike some other soups that i’ve tried, the balance of spiciness and sourness is just right without being too overwhelming on your tastebuds! very refreshing and tasty! this was definitely the star of the menu, and at $28.80, it is already the priciest item on the menu, so you can imagine that everything else is pretty damn affordable! and it is SOOO BIG, the biggest pork knuckle i’ve ever seen in my life! D: the pork is slowly braised in rich sauces, and the end result is extremely tender, juicy and flavorful meat! i kid you not when i say YZ single-handedly polished half of the entire plate on his own. it is very very delicious, especially for pork lovers! a look at the sesame coated pita bread pockets. they are soft and yummy! stuff in all the minced pork. it is NOMS. this dish is soooo cuteeee! the name piqued my interest immediately, because it looked JUST like fried rice, but it’s NOT?! that’s right.. those grains of “rice” you see are actually bean sprouts finely chopped up to resemble bits of rice! and it’s amazing, even by eating this dish, it tastes 90% like real fried rice, except crunchier! i kid you not! fried rice without the carbs, sounds good to me! and i wouldn’t possibly pass up a chance for La Mian at Crystal Jade.. not when all the noodles are all handmade by the experienced and skilled chefs! 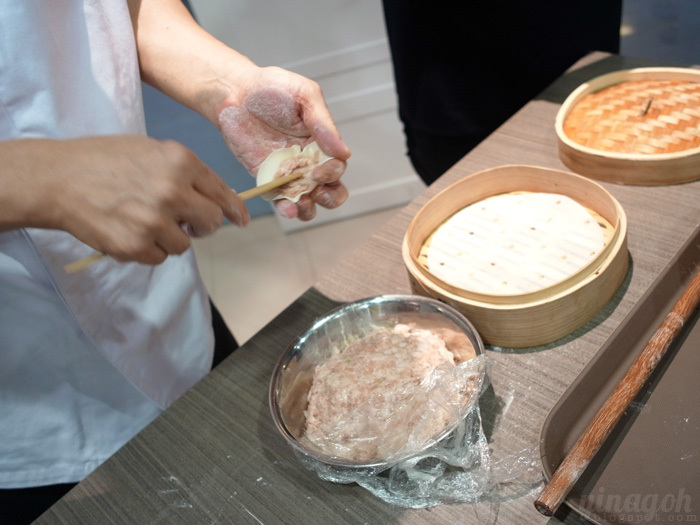 check out some of the special types of La Mian you can order, there are 9 different kinds ranging from really fine to triangular shaped to thick and flat! spoilt for choice! this dish is served cold, and i absolutely adore the texture of the noodles, they are sooo springy and Q.. handmade noodles really do make a difference! together with the spicy chicken and preserved egg, it is so yummy i had to have a second serving despite my low-carb diet! the cucumbers and preserved egg really helps to make this dish light and refreshing on the palate, while the spicy chicken gives flavor and tangy-ness to the noodles! YUMyum. you can only imagine how stuffed we were by this point of time.. i had to resist from helping myself to additional portions of the food because they were all mostly so yummy and i liked them so much! but i didn’t want to overeat, haha. had to save some space in my tummy for dessert too! and we happily rounded off a most satisfying meal with two items from the dessert menu! little bite sized desserts that contain red bean paste and salted egg yolk filling! i couldn’t really taste the salted egg yolk, but this dessert was served warm and biting into it was a soft and chewy experience! it tasted vaguely familiar and reminiscent of something… but i just can’t remember what! if you do try it and know what it reminds you of, please tell me!! we ended off with a cold dessert, a glutinous rice dumpling with fruit and cream! tastes like mochi with fresh cream filling! 😀 however, as i’m not big on cream, i didn’t really have any particular liking for this. YZ enjoyed it more than i did! candy pastel jeans in mint, size M, paired with an upcoming tie-waist top! super adorable combination, i love it! and some great promotions to share from my trusty hair salon, i need to go back for a trim and treatment real soon! with GSS around the corner, they have superb savings off the Texturising Perm / Creative Cut + Color + Highlight services! SUPER GOOD DEAL! do not miss it cos it only comes around once a year! This summer, in partnership with L’oréal Professionnel, Salon Vim brings to you the 2012 latest trend fashion color and hairstyles. Explore your very own customized texturizing perm that enhances your look and style. Learn from us the different ways and products needed to maintain and change your style. So call now to book an appointment with us and enjoy 30% off for these services.Promotion starts from 1st June 2012 till 31st july 2012.
another ongoing promotion is 30% off a customized Redken hair treatment that’s personalized specially to your needs! Previous Post Dolly Wink: Brow-session Continues!